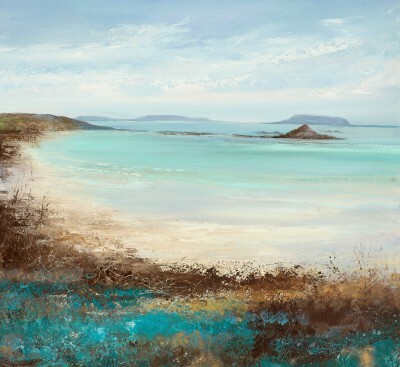 Amanda Hoskin was born and grew up in Cornwall. She studied at Falmouth and Chelsea Colleges of Art and Cornwall College. After finishing art school Amanda became a freelance wildlife illustrator working and living in London. 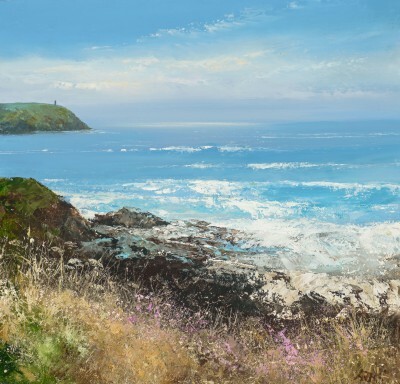 A move to the West Country in the early 1990's prompted an interest and passion for painting Landscapes. This passion expanded and grew as she continued to produce paintings, and further developed when Hoskin started using watercolours instead of oil paints. 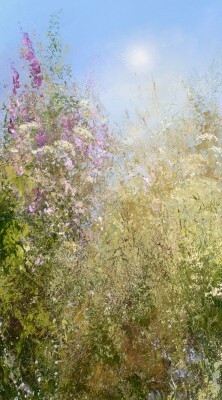 This allowed her to paint using different techniques and in many ways paint in more impressionistic styles. 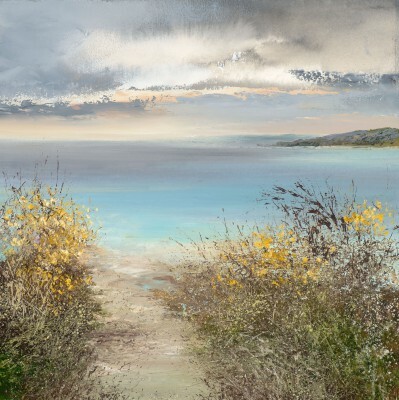 Amanda Hoskin focuses her interest on painting skies and landscapes paying close attention to detail of light particularly when it falls on open water. 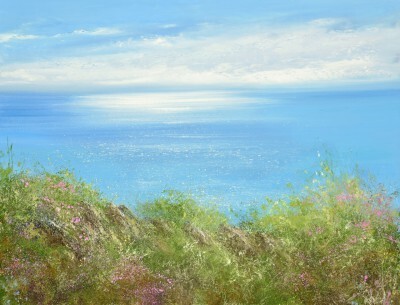 Amanda specialises in painting Cornish landscapes, and seaside views due to her great love and understanding for the nature that she surrounds herself with. Amanda spends many hours walking through the countryside allowing herself to observe and experience vistas on every level. It is because of her engagement with the environment that she is able to render her scenes with such enchantment and beauty. Her knowledge is shown through her effective ways of painting light and foliage, sometimes shown calm and tranquil, and sometimes weathered and rustic. 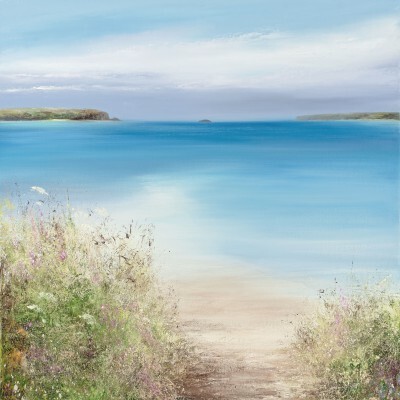 It is clear that Amanda provides the viewer with a painting full of depth, charm and intellect, creating a vision of familiarity to anyone native of Cornwall. 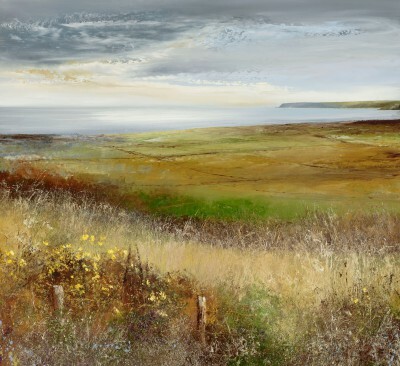 Talking about her paintings Amanda says: 'I am an artist who is very much influenced by the Cornish landscape that surrounds me. Living and working in Cornwall is my greatest inspiration. Whenever I find painting difficult or struggle to find inspiration I grab my sketchbook, go for a long walk and find that my ideas come flowing. My sketchbooks are where my paintings start whether it is a quick watercolour, a line drawing or even a written note to myself to remind me later of my feelings and thoughts. 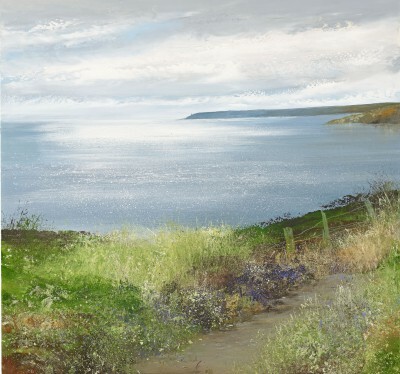 Today Amanda Hoskin is one of the leading British artists specialising in modern impressionism of the Cornish landscape. She paints outdoors, in the tradition of impressionists, skilfully capturing the momentary and transient effects of light. 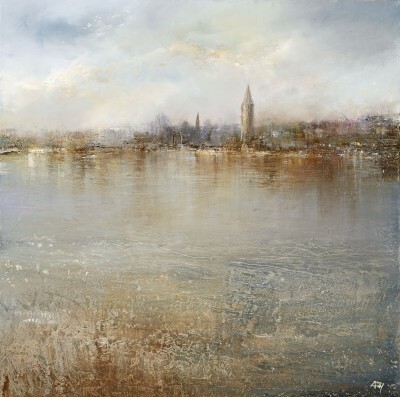 In addition to Red Rag Art Gallery Amanda Hoskin has exhibited at other leading British Art Galleries. Each painting at Red Rag is sourced from the Amanda Hoskin artist studio in Cornwall and like all Red Rag British art and Contemporary modern art it can be shipped worldwide. This is the Marine art page from Red Rag Modern Art Gallery featuring the best in contemporary Modern art. 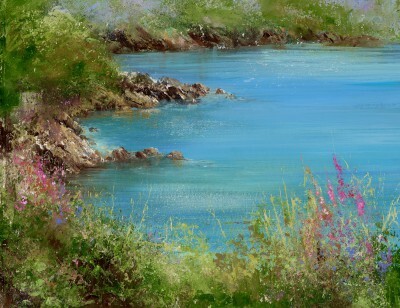 Throughout the year Red Rag features Modern art from artists who specialise in creating fine Marine paintings. Today is no exception you will find Red Rag Modern Art Gallery has an extensive collection of Marine art and paintings by leading contemporary artists. The sea and marine subjects have inspired many of the great artists of the past. This rich tradition of marine painting continues today and is still a favourite with many Modern art collectors. The Red Rag Modern art site contains many marine art pieces featuring the enduring imagery of seascape and marine scenes. 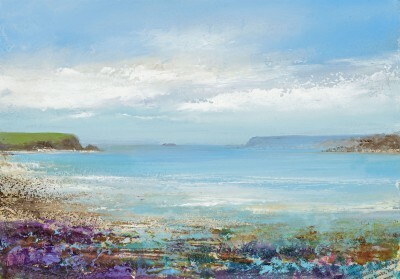 Listings of marine paintings on the Red Rag Modern Art Gallery website are in alphabetical order by each marine artist. To review information on size, price, availability and type of any contemporary marine painting click on each individual image of art. All contemporary Marine paintings which are promoted by Red Rag Modern Art Gallery are sourced from the art studio of each artist. This ensures each Marine painting is a genuine piece of contemporary art from the artist.